The night of 13th December was the peak of the Geminid meteor shower, a display of shooting stars from the debris left behind by asteroid Phaethon. For once it was a clear night and the all sky camera was running outside the RPO. 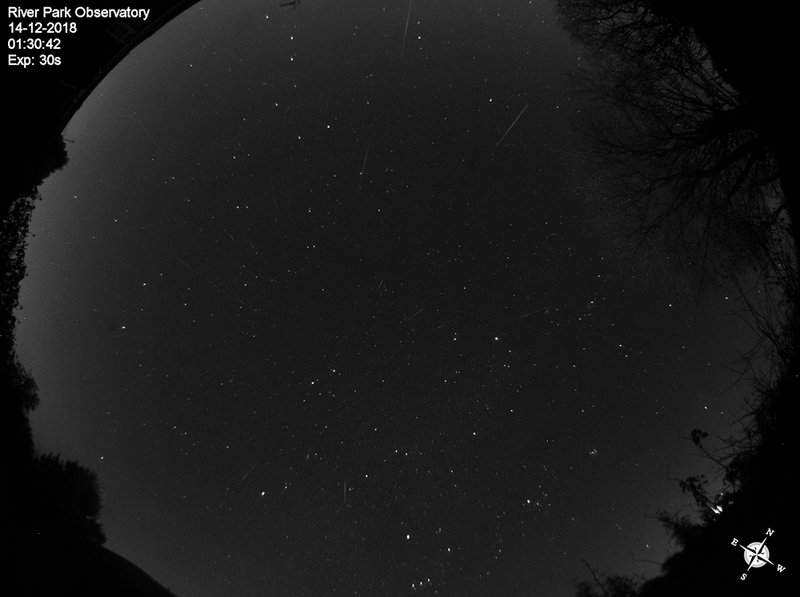 I constructed this montage from the 16 frames that caught a Geminid meteor. It is clear to see that all the meteors point back to a point of origin, the radiant, somewhere close to Castor in Gemini.